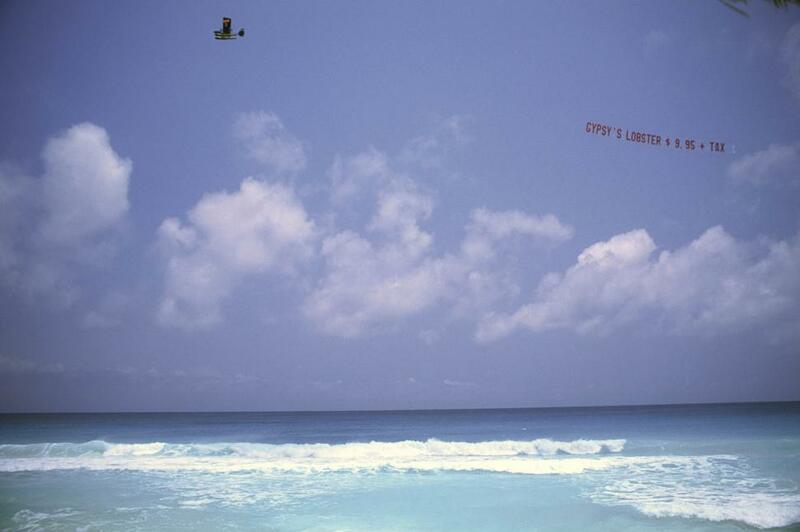 An airplane flies over the ocean with a banner advertising Gypsy's lobster for $9.95. Great image! Just what I was looking for.